MONTERREY, Mexico — Relatives in Mexico of the Saldivar family, six of whom died when a van was swept away by floodwaters from Hurricane Harvey in Houston, said they could not cross the border to mourn and criticized authorities for not evacuating before the storm. 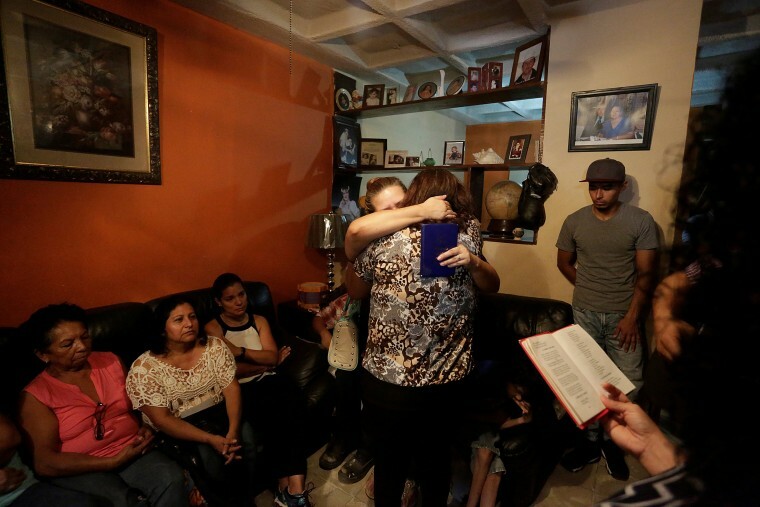 Gathered at their home in Monterrey to hold a vigil, the deeply religious family prayed and sang hymns as they comforted each other on Thursday. "The government, knowing that this storm was coming so strong, should have evacuated from the start," said Mayra Cepeda Ramirez, great aunt to four children drowned inside the van with their grandparents. Their father survived. They said they were frustrated by their inability to be with relatives north of the border because they had not been granted visas. "We do not have a visa and we feel impotent not to be able to be with our family at such a difficult time. It breaks our hearts that we want to be with them, hug them and we have a lot of pain over what happened," said Erick Cepeda Ramirez, a great uncle to the children. Sammy Saldivar was driving the van when he lost control in flood waters and just managed to escape. Devy, 16, Dominic, 15, Xavier, 8, and Daisy, 6, died in the back of the van with their elderly grandparents, 84-year-old Manuel and 81-year-old Belia Saldivar. Police recovered the bodies on Wednesday when they pulled the van from the floodwaters. Relatives told NBC News that Sammy Sadivar had just crossed a bridge over a swollen bayou when the road dipped down and the vehicle was swept into the water, which was moving at five knots. More than 30 deaths have been attributed to the storm and the death toll was expected to rise as bodies are found in receding water.